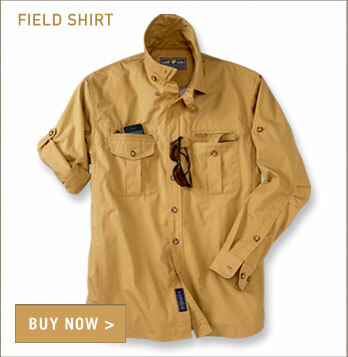 All the same design and fit details as our Signature Field Shirt, but offered in a premium linen fabric. Ideal weight and fabric for extreme warm climates. 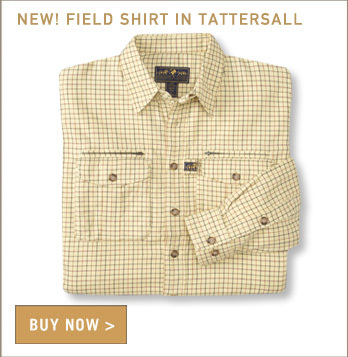 Note: Zipper chest pockets on new Khaki; no zip on Petwer linen shirts. Care Instructions: Machine wash cold with like colors. Do NOT bleach. Tumble dry low, remove promptly, cool iron if needed. Fit Details: Many of the shirt's performance features, like side panels and bi-swing help to provide fit comfort – rather than using size to accommodate these things – so you should choose your size according to the size measurements in the chart below. The other good thing is that there is no shrinkage…due to garment wash of the fabric as part of the finishing.